It’s a big decision. Get it wrong, and you risk insulting your fiancee. Overdo it by enough, and you risk the health of your finances. Finding the right balance is a difficult matter, but what do the experts think? How much should you be spending on that all-important engagement ring? According to tradition, the amount you choose to spend on an engagement ring should approximate the amount of your monthly salary times two. By this measure, anyone who earns $2,000 a month should be looking at models in the $4,000 range. For someone earning $10,000 a month, a $20,000 ring would be about right. Is this metric valid? Many modern analysts think not. Here are some reasons why. While your wife-to-be might tell you something different for the record, a killer engagement ring is probably something about which she has dreamed for most of her life. Once you’ve made it official, it’s something she expects to be wearing daily for decades and decades to come, and as much as she may deny it even to herself, it’s something she’ll be flaunting to her friends for quite some time. While she knows you love her, a tiny ring with a nearly invisible diamond is sure to be a disappointment. If she needs a magnifying glass to get the stone’s full impact, she may even start to wonder if your feelings run as deeply as you claim. 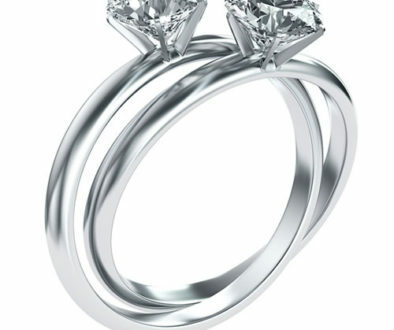 The truth is that all women want engagement rings of which they can be proud. While she doesn’t want the ring to send you to the poorhouse, she doesn’t want her friends feeling sorry for her either. The size of your current paycheck. Your daily and monthly expenses. Any car or student loans with far-in-the-future payoff dates. The health of your savings account. Are there any things on which you could skimp? You may not really need that expensive latte every morning, and a daily brown-bagging habit could offer some benefits to your health. Of course, this is also an appropriate time to consider your current and future job prospects. If you’re young, it’s likely that you have not yet reached your full earning potential. There could be a promotion in the offing. Once you have given these financial matters your careful consideration, you’ll be in a better position to choose the size and price of ring that works for you. If you will be forced to borrow, you must also consider the impact of taking on additional debt. It’s best to burden yourself with no more than you can pay off in under a year. Of course, if you can purchase the ring of her dreams on an all-cash basis, you’re in the best position of all. Before heading down to the nearest jewelry store, take the time to discuss the upcoming purchase with your fiancee. An open conversation will ensure that the two of you are on the same page. Your future together may include the purchase of a new home or other large item for which you will need to stash away money for a down payment. It is entirely possible that neither one of you will want to quash your chances of saving for a major future investment by buying a ring that you can’t afford. As the two of you go over your options, you may be surprised to learn that your fiancee has no interest in wearing an expensive diamond and would be just as happy with a well-cut moissanite, zircon or cubic zirconia. The truth is that if she loves and respects you, she might not want you putting yourself head over heels in debt to buy her a ring that you really can’t afford. On the other hand, you must be certain never to treat your fiancee with less consideration than you show yourself. 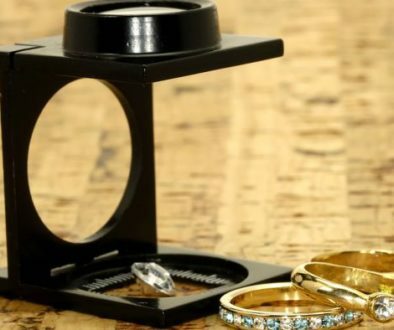 It is a sure way to engender resentment, so if you are in the habit of spending heavily on your personal hobbies, collections and playthings, you will never get away with buying your fiancee’s engagement ring on the cheap. 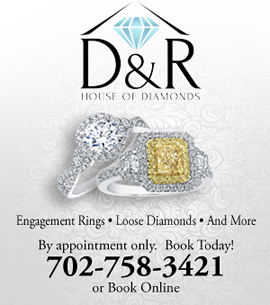 Whatever size and style of engagement ring you have in mind, D&R House of Diamonds is sure to have it at a price that meets your needs. 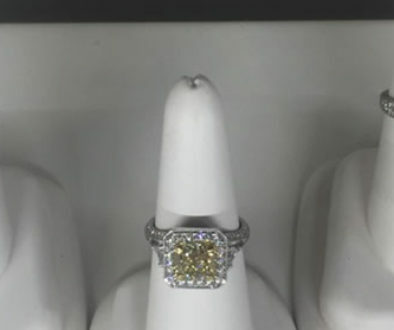 Let our exclusive business model of low overhead and excellent wholesale connections help you purchase the perfect engagement ring at the perfect price. Remember, we’re D&R. Affordable luxury is our specialty. 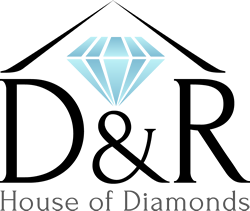 The Difference Between Jewelry Warranty and Jewelry Insurance	How Does a Jewelry Appraisal Work?